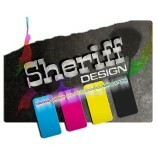 Graphic Design, Web Design, Printing Solutions, Digital Illustration. Freelance graphic designer, proficient in a variety of media and tools. I offer bespoke solutions to each client, for example: print, branding, digital media, etc. Contact can be made via my website, where you will find my current price guide, bio and portfolio, or via my page on Facebook. Steve designed all of my wedding stationary. It was stylish, high quality and at a reasonable cost, and more importantly exactly what I wanted!